Poshmark is Heading to Chicago & Boston! September 12, 2013 August 13, 2014 Categories Community, Events, Influencer Spotlight, Styleboston, chicago, downtown chic, east coast, fashion, live posh parties, mckenna bleu, midwest, polished preppy & glam, pretty & fun, sparkling footsteps, style, style on the line, the boston fashionista, the bostonista, the sassy peach, the view from 5 ft 2Leave a Comment on Poshmark is Heading to Chicago & Boston! With Fall fast approaching, we are more than excited to visit the other half of the country and watch the leaves and outfit colors change! 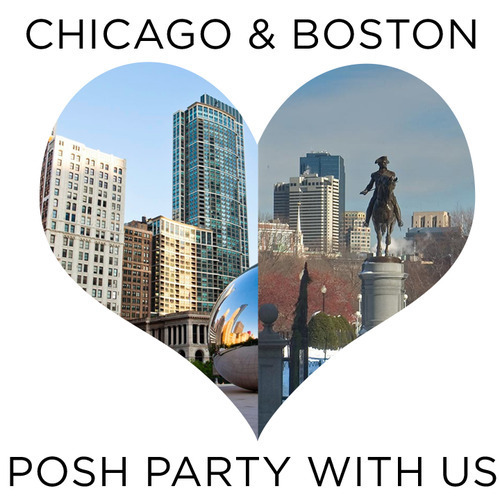 In two weeks, Poshmark is headed to Chicago and Boston for two LIVE Posh Parties and we want you to join us. 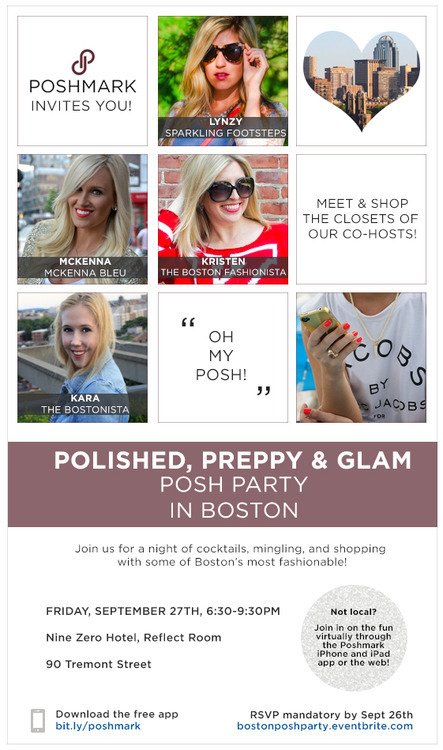 For our LIVE Posh Parties, we’re teaming up with 8 amazing Chicago and Boston style bloggers and fashion mavens, who will be opening up their closets on Poshmark for you to shop! If you’re local, we’d love to have you join us! 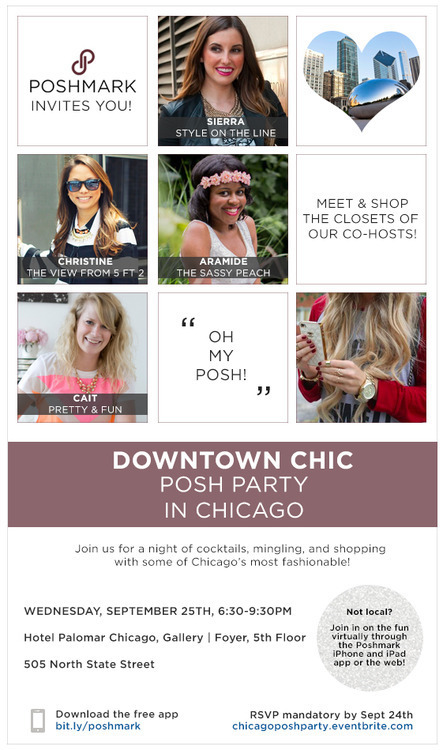 Come mingle, meet, shop, and have a cocktail with the Poshmark team and our co-hosts! Simply RSVP through Eventbrite by September 24th (Chicago) or 26th (Boston) to get on the guest list (space is limited). If you’re not in the Boston or Chicago area or you can’t attend, don’t you worry! Join us virtually through the Poshmark app or on the web for plenty of Poshmark fun from wherever you may be. Be ready to shop or list all your new fall favorites, including preppy knits and downtown chic staples! Previous Post PoshFest 2013: Accessories, Please!